The Montreal morgue has become so overcrowded after an increase in the number of deaths caused by recent extreme heat and humidity that the coroner's office has had to partner with a funeral home in the city, where some bodies will be transported. "With over 15 bodies arriving almost every day, it's not too long that the 128 places at the morgue are filled," said Montreal coroner Dr. Jean Brochu in a phone interview Saturday. Brochu said this is the first time he has seen the morgue so overcrowded in a normal situation; the only other time it has happened was during renovations. His comments came after public health officials said five more people had died in Montreal after a week of record-breaking temperatures, bringing the city's death toll from the recent heat wave up to 33. On Friday, provincial officials said 54 people had died province-wide. Dr. David Kaiser with Montreal's public health office said the majority of people who have died in the city were part of vulnerable populations. Almost all were over the age of 60. "Most of the deaths are a result of chronic illnesses, but due to the high temperatures, it is possible to conclude that the heat has contributed to the high number of deaths," said Kaiser. Brochu said part of the reason why the morgue is at capacity is the high amount of bodies that still have to be claimed. The coroners have been asked to speed up the process of doing their examinations and quickly get in contact with families of those who have passed away. Brochu said even after that process, it can take months for a body to be claimed. "I've seen a case where it took three years ... but at that point we had already buried the body," he said. The bodies that have been at the morgue the longest will be the ones moved to the funeral home, said Brochu. 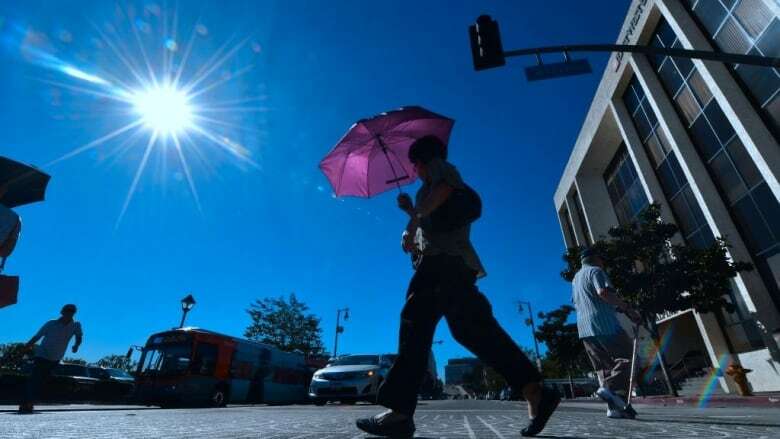 Over the past week, temperatures as high as 35 C were reported in Quebec and Ontario, and the temperature is set to rise again in Montreal by the end of the weekend, with the humidex expected to make it feel like 36 C on Sunday and Monday. While the stifling weather also hung over Ontario and parts of Atlantic Canada, no deaths had been reported elsewhere, in part because various jurisdictions have different ways of gathering data on heat-related fatalities. Although the temperature was down over the weekend, Kaiser said the message to people in Montreal stays the same. He encouraged them to check on their neighbours, especially those who are vulnerable and often isolated. Environment Canada has lifted heat warnings for the affected regions, including Quebec, for the next several days. "We really hope that the next information we have to give out is the last and total number of deaths for this heat wave," says Kaiser.